Top Access Control SystemAccess control is any mechanism or system that manages access through the authorization or revocation of rights to physical or logical assets within an organization. Trusted by millions of customers around the world, HID Global provides comprehensive physical access control solutions to secure your facilities, assets, networks and cloud resources. 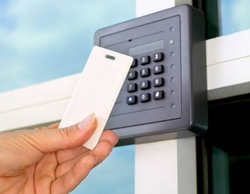 Access control systems have become sophisticated. And they vary widely in type and complexity. Engaged in providing Services such as Access Control Services. 2. Software will program the card with the right access privileges on the basis of role and zone. We provide best and quick services of CCTV, Access Control. Door Phones, Bio metric and entire range of Electronic Security System services of all reputed brand e.g. Samsung, Dhaua, Hikvision etc. We do Installation, repairing, AMC, consultation etc at lowest rate.